In October 2015, DaySpring announced its new tagline - Live Your Faith. And while this phrase might be new for our company, it defines the heart of what DaySpring has always been about - equipping every person to experience and express the life-changing message of God’s love. 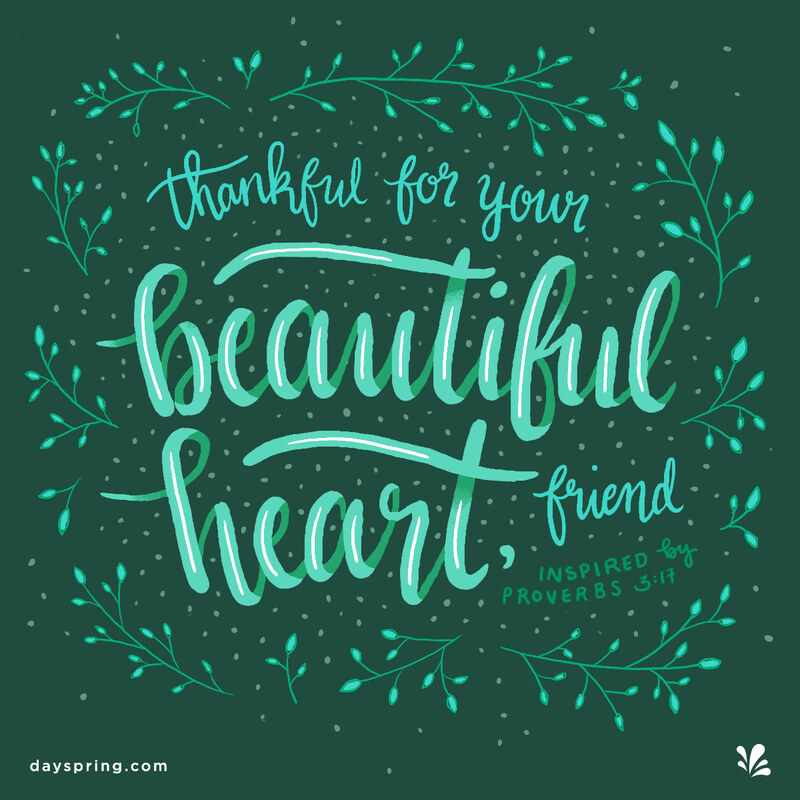 Whether that is through a handwritten greeting card, sharing an inspirational article on social media or gifting a Scripture-inscribed necklace, we want to equip you with the tools and resources needed to help you encourage your friends and family with His unfailing love, indescribable peace and pure, heartfelt joy. At DaySpring, we believe it’s a beautiful thing to know God, to accept His Truths and to love Him with your whole heart, but it is our hope that you will take it a step further and Live Your Faith. Join us this year as we focus on 1 Thessalonians 5:11 CSB, where God calls us to actively “encourage one another and build each other up.” Spend some quiet time with God, ask Him how you might Live Your Faith through serving, sharing and encouraging others in and out of your day-to-day life. Listen to where He is calling you and follow with your entire being.